Have you been dreaming of the day you can finally drive? The good news is that we will help you take care of everything! Let’s go over what we need to get done first, and how we can help along the way. 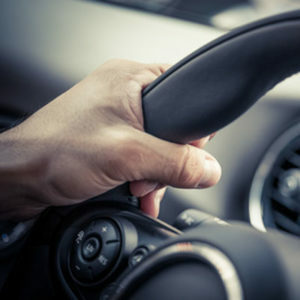 Our focus is to set you up for success and prepare you to pass the driving test as soon as possible. 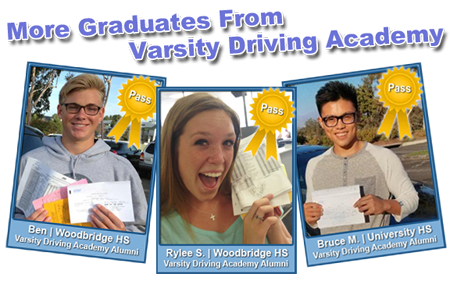 Start now with Varsity Driving Academy’s Teen Driver’s Training by signing up for our DMV Approved Drivers Education Course and you can get your permit the day you turn 15 ½. Then, sign up for our Behind-The-Wheel Training Course, so you can get your license at 16 years old! 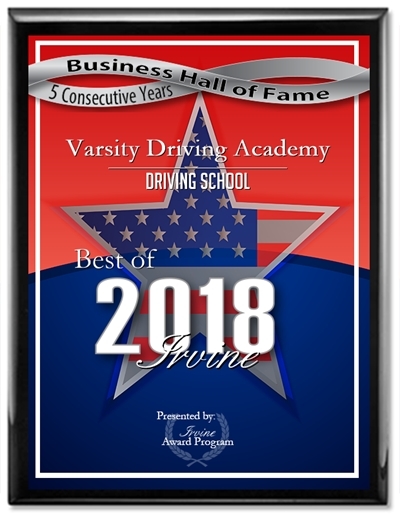 We have provided top-notch training to thousands of teen drivers and are rated #1 on Google and Yelp. Follow the two steps below and start driving with Varsity Driving Academy today! You can start Teen Drivers Education as soon as you turn 15 years and 0 months of age and have the choice to complete the course either online in the comfort of your own home or in a classroom setting where you can complete it in just 4 days. In order to properly prepare, you will need to read and study the DMV Official Driver’s Handbook in combination with our course. Our classes will adequately prepare you to take and pass the written version of the DMV Test and will provide you with a certificate of completion to show the DMV. 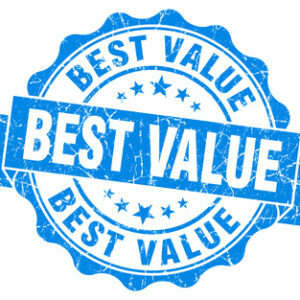 Varsity Driving Academy will never have hidden or surprise charges; everything is included in the package price. Whether you prefer learning online or in the traditional classroom environment, we have something for you! The course is divided into 11 chapters with video instruction and interaction. Each chapter is followed by a short quiz that will test your knowledge before moving on to the next chapter. This can be completed within days. This class is completed in four consecutive days Monday – Thursday from 9-4pm including two 15 minute breaks and a 30 minute lunch. At Varsity Driving Academy, you can enjoy learning how to drive at your own pace with our friendly behind-the-wheel instructors. Lessons: Each lesson is two (2) hours long. Our recommendation is to spread the driving lessons out over the mandatory waiting time of six (6) months. The first lesson needs to be scheduled and completed as soon as possible to validate the permit. The second lesson would be in the middle of the six month waiting period (about 2 1/2 – 3 months). The last lesson would be scheduled as close to the date that has been scheduled for the behind-the-wheel drive test at the DMV. Scheduling: Each lesson is strategically scheduled so the instructor can teach new criteria every time you come for a lesson and reinforce habits that create safe and defensive drivers. Scheduling the lessons this way also creates a team effort between parents and our instructors who have all been extensively trained and are DMV certified. The practice that is done by the student (and highly recommended) between our three lessons is crucial to the success of the student. Pick Up and Drop Off: We do pick up and drop off from your school, work, or home. Training Vehicles: Our training vehicles are favoreed by student drivers. Our vehicles are fully equipped with dual brake controls and are fully insured and inspected.